Get relief from your depression, anxiety, and insomnia easily, and with no side effects – with the CES ULtra. 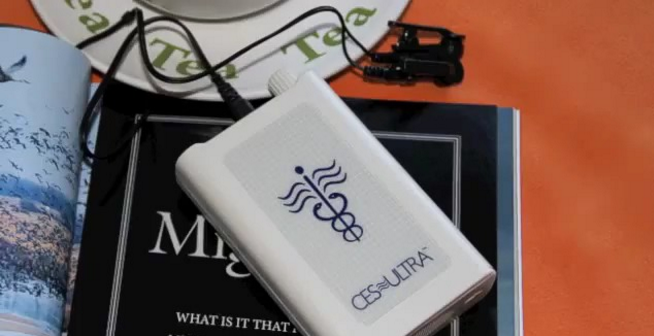 The CES Ultra, registered as a medical device with the FDA (Food and Drug Administration), uses Cranial Electrotherapy Stimulation to help you relax, sleep well, and enjoy peace of mind. CES therapy has been in use since the 1950s and is well-researched for its effectiveness. CES therapy is simple and easy. 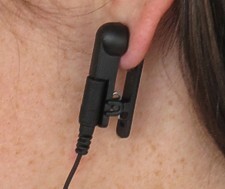 The CES Ultra is the most user-friendly CES device on the market. Enjoy the gentle massage-like action and pleasant tingling sensation. You have one-touch control of the unit at all times. 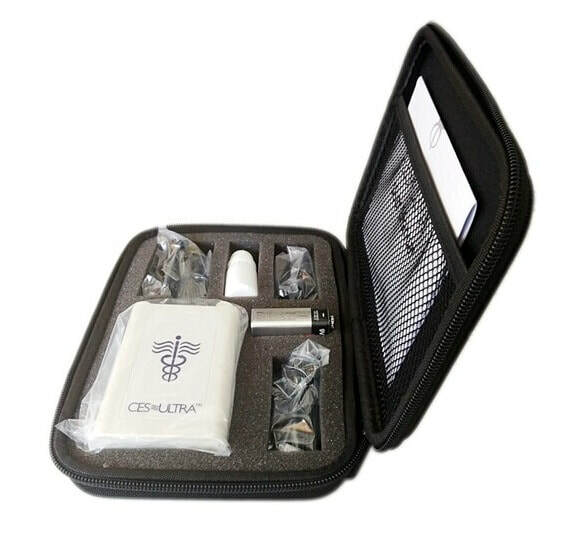 About the size of a cell phone, you can use the CES Ultra almost anywhere to bring you relief from depression, anxiety, and insomnia. 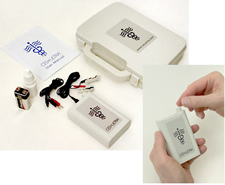 The base unit and all its accessories fit into the attractive, convenient carrying case. Take a look at the technical specs of the CES Ultra. Sleep more restfully, achieve peace of mind, and find the welcome relaxation you're searching for.Contact us today to learn more about how the CES Ultra can bring you peaceful relaxation and a good night's sleep. 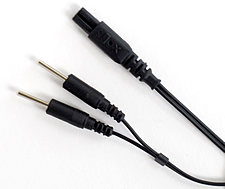 Order your CES Ultra now!